According to the Missouri Department of Elementary and Secondary Education, the Migrant English Language Learners (MELL) program is designed to use existing resources to better serve English Language Learners (ELLs) and migrant students, to prevent duplication of services, and to allow most Title I-C and Title III funds to reach districts with needy children. MELL staff provide service delivery at strategic locations throughout the state. Each center is staffed with at least one instructional specialist, and regions with a high incidence of migrants are also staffed with a migrant recruiter. 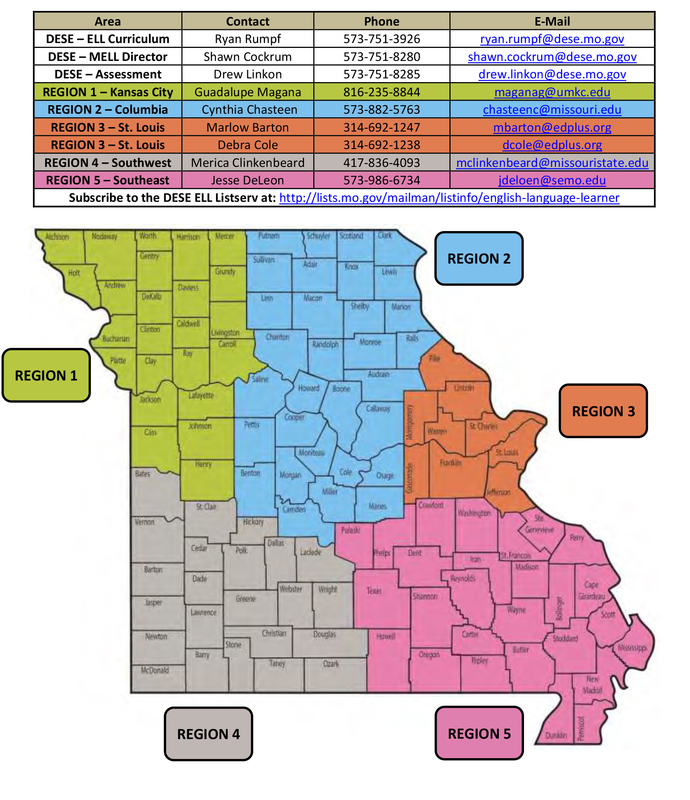 The Heart of Missouri RPDC MELL consultant is available to work with schools with English learners at any level within the designated service area. Technical assistance is available to ensure that English learners and migrant students receive the support and education to which they are entitled. Lunch, water, and coffee will be provided. There is no cost to attend this meeting.